I've been meaning to post about this for AGES. I made this top and skirt outfit for my daughter months ago, and it is one of my favourites. 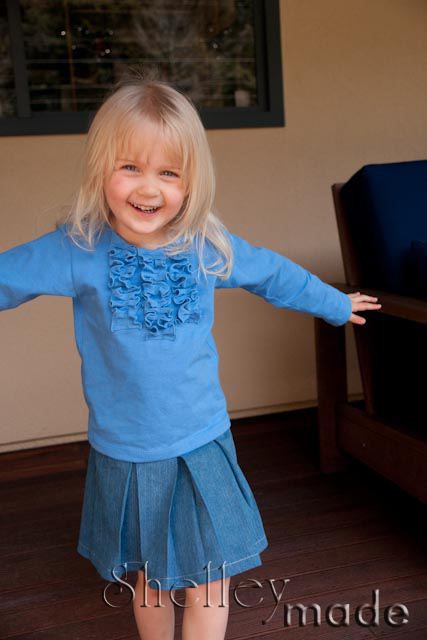 The ruffle top is a stretch knit pattern from Ginger Louise. 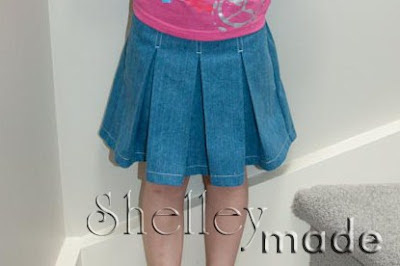 The skirt is the Sassy Pleated Skirt from Sew Sweet Patterns. 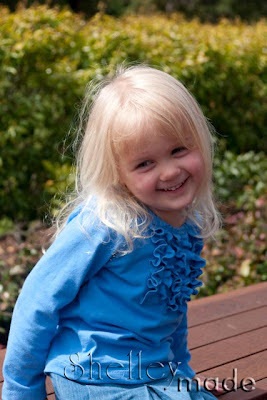 I love both of these patterns, and best of all, my little girl agrees to wear them! The top I made in a size 4, but ended up taking it in just a bit down the arms and sides after taking these photos. My daughter is a very slight build! I love the ruffles though - and they were pretty easy to do. It's a very simple top, but the ruffles just add something to it. 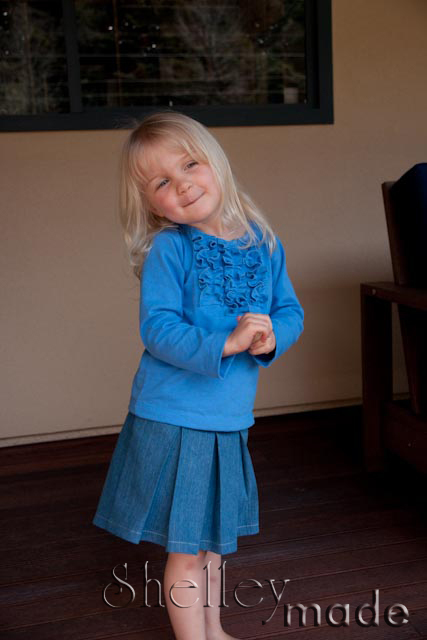 The skirt I made about 3 inches longer than the pattern states - it was just a tad too short for what I wanted, plus with my girl growing like a weed at the moment, I wanted it to last! Best of all - they are not pink. I know every little girl LOVES pink, but Mummy gets a little tired of it sometimes!